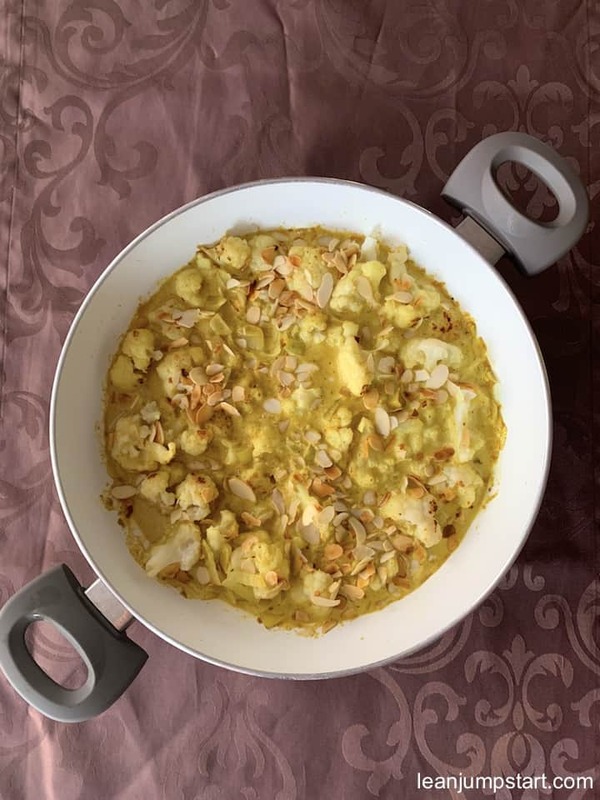 The recipe inspiration for this easy, creamy and delicious cauliflower coconut curry I’ve found in one of my daughter’s vegan cookbooks. She is a huge fan of Attila Hildmann, who is probably one of the most famous vegans here in Germany. Hence she owns at least three large cookbooks of him. Although I love plant-based dishes, I’ve found many of his vegan recipes needless complicated and time consuming. Also they are not necessarily clean as his recipes sometimes call for exotic ingredients with food additives. But I have to admit that most of his vegan dishes I’ve tried, taste delicious. There was a time some years ago when my daughter could have spent three hours and more in the kitchen, cooking Attila’s recipes. With her increasingly crowded schedule those days are gone. If you are an avid reader of this blog, then you know that I’m not willing to stay in my kitchen for several hours. In this context I love the KISS concept (keep it stupid simple). 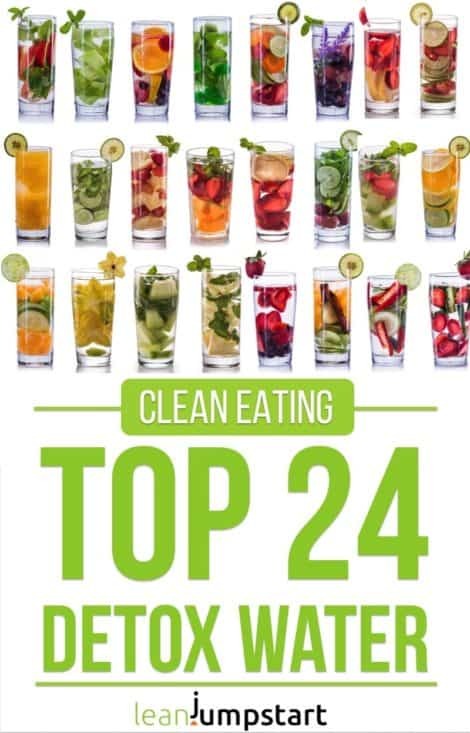 My favorite clean eating recipes are generally quick, simple and have a manageable ingredient list. 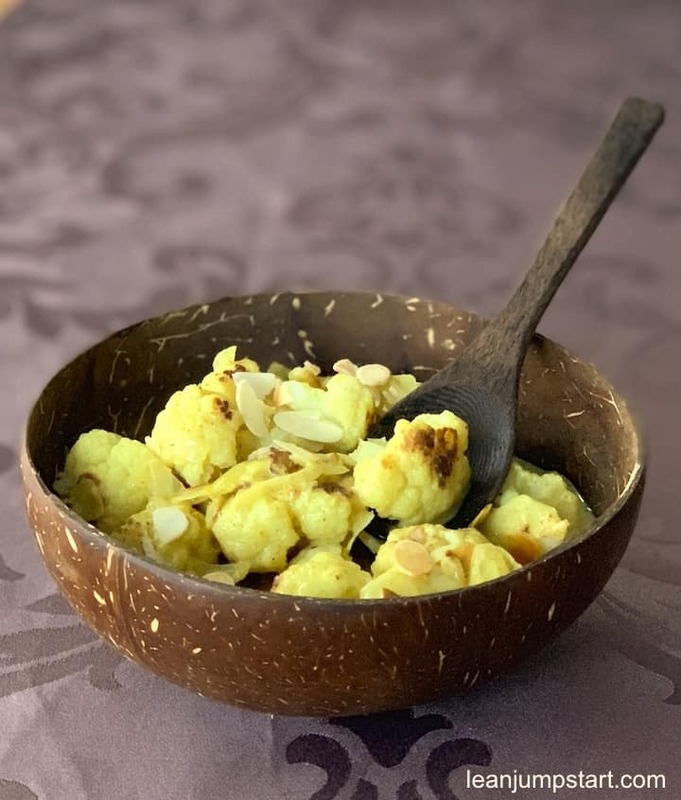 This easy curried cauliflower with coconut milk I’ve spotted in Attila’s “vegan to go” book. Luckily you can cook this vegan dinner or lunch in a snap. You just combine the vegetable stir-fry with the creamy coconut curry sauce and get a delicious, fiber rich meal. As the book title suggests it is a perfect make-ahead meal that you could prepare in advance and take it with you in a lunch box. In that case I would recommend keeping stir-fried cauliflower and coconut cream separately. Combine it only right before eating. Instead of salt, you can also use vegetable broth for your cooking water. This makes the cauliflower taste even spicier. With a little lemon or milk in the cooking water, the cruciferous vegetable retains its color without turning pale. Also, if you want to reduce the cabbagey smell that spreads in your kitchen as you prepare it, add some lemon. Heat 1/2 tablespoon of coconut oil in a large pan. Roast onion cubes and red chili over medium heat for 3 minutes. Stir in curry and cook for 1 minute. At last add coconut milk and taste with salt. 1. Bring to a boil a pot of salt water. 2. Blanche cauliflower florets in salt water for 2 minutes and then drain in a seaver. 3. Heat remaining coconut oil in a large pan. 4. Roast cauliflower florets over medium to high heat for 4 minutes. 5. Combine the sauce with the cauliflower and arrange on plates. To reduce fat content you could use light coconut milk instead. Let’s look at some nutritional benefits of cauliflower. Although this cabbage type consists 92% of water, it can be still considered as a very satiating high fiber food. In addition, the super veggie contains many vitamins. With one portion of cauliflower you can already cover your daily vitamin C requirements. The mustard oils contained in cauliflower, as well as the natural substance histamine, can help you to strengthen your immune system. The two substances are also responsible for the slightly bitter taste of the cruciferous vegetable. Before storing, you should completely remove the outer leaves, as they drain nutrients and water from the florets. You can store the cauliflower unwashed and without leaves in a paper or plastic bag in the lower vegetable compartment of your fridge. This way it will keep for at least 1 1/2 weeks. Cooked cauliflower can be stored in the fridge for up to 3 days. You can easily heat it up in the microwave. 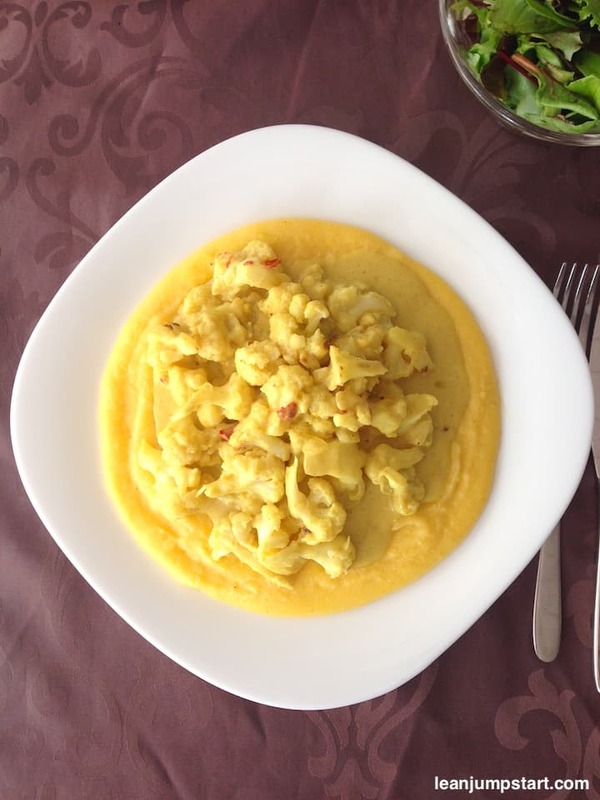 A smart strategy to control your overall fat consumption is to use this cauliflower curry as side dish with polenta or rice. Although a color contrast for the eye is missing, we absolutely love to combine it with our beloved polenta. While this coconut curry recipe makes also a healthful main dish, I recommend to execute portion control if weight loss is your goal. For me and many of my students an increased fat consumption leads to weight gain. Although a coconut milk nutrition is known for its weight management properties, I recommend to not going overboard. I’ve already decreased the coconut oil content in Attila’s recipe. You could further decrease fat content with the use of low fat coconut milk. It is not as clean as full fat coconut milk, but with an 80/20 approach to clean eating this might be a good compromise. A great way to further increase fat content is to skip the almond slivers or to use the lighter pumpkin seeds. Thanks Chichi! You are right, the crunchy almond slivers are the “cherry on the cake” on this yummy cauliflower stir-fry. This dish sounds delicious and so simple! I love substituting cauliflower to make dishes healthier! Pinning! Yes Kristine, I also love to substitute with cauliflower – in my opinion this cruciferous vegetable is totally underrated and should be used more often. What a great way to use Cauliflower. Love coconut curry and can’t wait to try this recipe. You had me at curry <3 It's totally my comfort food so this looks just SO tasty! This looks really good. 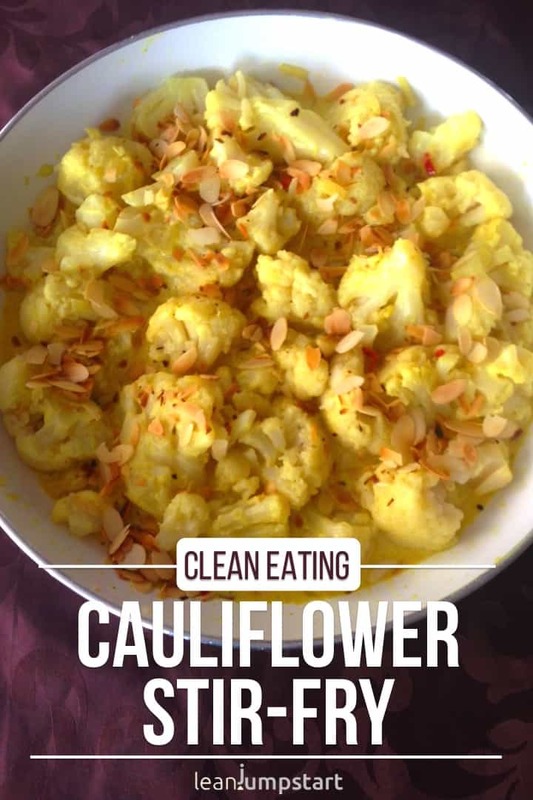 I love cauliflower and curry so this seems like the perfect combo!